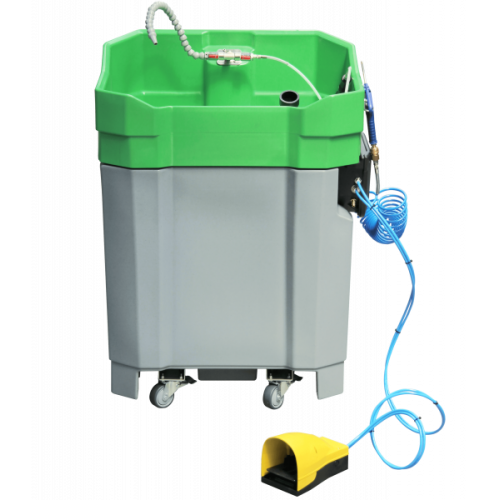 Manual cleaning system for paint and ink application and processing equipment. 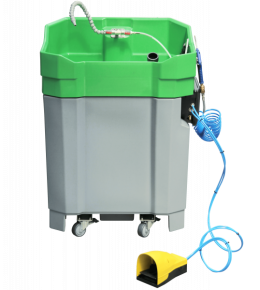 The PROLAQ Compact is a mobile, self-contained cleaning device for cleaning paint from spray guns, nozzles, tube systems and other paint application equipment. Powered by compressed air, not electricity, it uses the revolutionary new reduced-VOCs PROLAQ L 500 cleaning liquid. Fine filter in line with the flow-through brush and nozzle. 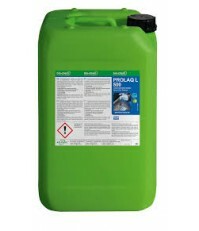 This process allows the PROLAQ L 500 cleaner to be re-used up to 5 to 10 times, reducing costs and environmental waste.